May 30, 2017 /in Technology /by Willam C. Christie M.D. June 20, 2016 /in Technology /by Willam C. Christie M.D. Summer is upon us! That means warmer, longer days and more opportunities to get outside and relax, but as soon as you go outside your door, you find yourself squinting in the sunlight…even with your sunglasses on! What’s up with that? The too-bright light you are experiencing is called glare. Glare is excessive brightness, and it is caused by highly concentrated light being reflected off a surface. It is much brighter than the rest of your surroundings, and is painful to look at. While you can experience glare from TV or computer screens, some of the most severe glare is found in the great outdoors. As the weather gets warmer and you head outside to play golf, fish, boat, or participate in other outdoor activities, you need to be aware of the effect glare can have on your eyes. How Does Glare Affect Our Vision? As that highly concentrated light reflects off of the surfaces around you, your eyes are exposed to excessive brightness. This glare distorts your vision and can make it difficult to see. While it’s not safe to perform activities with impaired vision, glare has much more harmful effects. Glare is one of the leading causes of eye strain and can cause long term damage. One of the best ways to combat glare is to wear glasses with polarized lenses. Polarized lenses block the intense light you experience outside with a special filter, greatly reducing the glare. This clears your vision and protects your eyes! Maui Jim is the leading brand in sunglasses with polarized lenses. They offer the greatest style, comfort, and protection on the market! 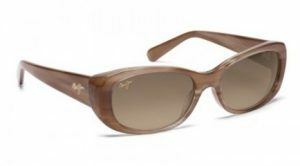 Good Looks Eyewear offers 77 unique styles of Maui Jim sunwear at both its Cranberry and Pittsburgh locations. May 2, 2016 /in Technology /by Willam C. Christie M.D. Most people over the age of 60 experience some level of blurry vision due to cataracts. Many people over the age of 50 are uncomfortable driving or unable to easily read at intermediate or close distances without glasses due to presbyopia. Now, the TECNIS Multifocal family of intraocular lenses (IOLs) offers personalized solutions to give you outstanding vision at all distances (near, intermediate and far). The TECNIS Multifocal family of IOLs offers three options to personalize your vision. Each type of IOL provides you with outstanding vision to meet your specific lifestyle needs. You can look forward to seeing objects up close, far into the distance, and in-between. What activities are most important to you? Whether you want more comfort while reading a book, more confidence viewing the screen on your smart phone, or excellent vision to find your golf ball on the fairway, the TECNIS Multifocal family of IOLs has a unique solution customized for your active lifestyle. Clinical studies indicate that 9 out of 10 patients said they would choose their TECNIS Multifocal Lens again. With the TECNIS Multifocal Family of IOLs, patients with age-related vision loss can look forward to regaining their younger vision and reducing their dependence on glasses. Different types of implantable lenses are designed to meet individual eye health and lifestyle needs. Talk to one of our doctors at Scott and Christie Eyecare Associates about which lens is the right choice for you. CONTACT US AT OUR PITTSBURGH OR CRANBERRY LOCATION FOR MORE INFORMATION. March 14, 2016 /in Technology /by Willam C. Christie M.D. With the Masters Golf Championship right around the corner, Good Looks Eyewear wants you to be prepared when you are out on the Links. Serious golfers pay attention to their lenses. At Good Looks Eyewear, we have our own lab. That means we are able to personally guarantee that our lens products exceed industry standards and are personally customized for you. Progressive lenses are specifically designed for golf and allow the patient’s prescription to be manipulated to accommodate any distance. Polarized lenses block out the sun’s harmful UV rays and let you see straight down the fairway with out any glare. Now that you have the lenses that help your game, it’s time to pick some frames that fit you. With the head motion that is involved in swinging the club, you want a pair of frames that are sure to stay on your head. Oakley’s are famous for their wrap frames. These specific pair of glasses hug your head tight enough so they won’t go flying off, but loose enough so you don’t feel constricted. They are the perfect fit for everybody. 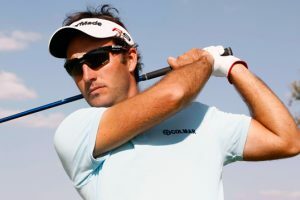 Maui Jim is another famous brand worn by athletes. 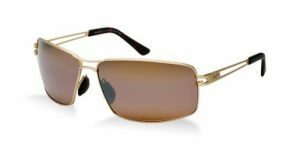 Most of the Maui Jim frames offer over-the-ear arms that refrain from sliding off your face. Any frame purchased at Good Looks Eyewear are personally fit to your head’s own unique shape. Our ABO certified opticians are the best in town and always happy to assist you with any inquiries you may have. Contact us at either our Pittsburgh or Cranberry locations. February 18, 2016 /in Technology /by Willam C. Christie M.D. In this day and age, it has become nearly impossible to go a whole day without looking at some sort of digital screen. Some of us have to look at them all day while at work. Over 50% of people who work wi9th computers show eye strain and other bothersome visual symptoms. Here are 10 easy tips to reduce your risk of computer eye strain. Get a Comprehensive Eye Exam: Getting a routine comprehensive eye exam is the most important thing you can do to prevent or treat computer vision problems. Contact us to help schedule your routine comprehensive eye exam. 2. Use Proper Lighting: Excessive bright light often causes eye strain. When you use a computer, your ambient lighting should be about half as bright as computers found in an office. 3. Minimize Glare: Glare on walls and finished surfaces, as well as reflections on your computer screen also can cause computer eye strain. Consider installing an anti-glare screen on your monitor and, if possible, paint bright white walls a darker color with a matte finish. Again, cover the windows. When outside light cannot be reduced, consider using a computer hood. 4. Upgrade Your Display: If you have not already done so, replace your old tube-style monitor (called a cathode ray tube or CRT) with a flat-panel liquid crystal display (LCD), like those on laptop computers. 5. Adjust Computer Display Settings: Make sure the brightness of the display is about the same brightness of the surrounding workstation. The text size and contract should be adjusted for comfort. 6. Blink More Often: Blinking is very important when working at a computer; blinking moistens your eyes to prevent dryness and irritation. When working at a computer, people blink less frequently — about one-third as often as they normally do — and many blinks performed during computer work are only partial lid closures, according to studies. 7. Exercise Your Eyes: One exercise is to look far away at an object for 10-15 seconds, then gaze at something up close for 10-15 seconds. Then look back at the distant object. Do this 10 times. This exercise reduces the risk of your eyes’ focusing ability to “lock up” (a condition called accommodative spasm) after prolonged computer work. 8. Take Frequent Breaks: Take frequent breaks during your computer work day to reduce the risk of computer vision syndrome. 9. Modify Your Workstation: If you need to look back and forth between a printed page and your computer screen, this can cause eye strain. Using a desk lamp may help, as log as it does not shine into your eyes or on your computer screen. 10. Consider Computer Eyewear: For the greatest comfort at your computer, you might benefit from having a Scott and Christie doctor modify your eyeglasses prescription to create customized computer glasses. Contact us at Scott and Christie Eyecare Associates if you have any questions regarding this or any other matter. Scott and Christie Eyecare Associates is proud to service the Pittsburgh and Cranberry area with top of the line ye care. Driving at night can be challenging under the best of circumstance, but battling the glare from oncoming headlights can make a stressful situation even worse. 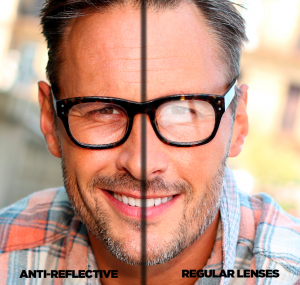 Nowadays, you can beat the glare by opting for anti-reflective (AR) lenses. Technological advances in anti-glare coatings virtually eliminate glare by allowing 99.5 percent of available light to pass through your lenses. That means fewer visual distractions when you’re sitting behind the wheel, and less eyestrain when you’re sitting in front of a computer (or any) screen for hours. There’s another advantage to going anti-glare—you’ll look better. Your lenses will appear clearer, practically invisible, allowing people to focus on your eyes and not the reflection in your glasses. By the way, the AR coating is applied in our full-service eyewear lab, allowing for personalized, hands-on production of your glasses. Visit our Good Looks Eyewear stores in either Pittsburgh or Cranberry and ask our ABO certified Opticians about AR lenses. Contact us at the Pittsburgh location or the Cranberry location if you have any question about Anti-Reflective Lenses. January 5, 2016 /in Technology /by Willam C. Christie M.D. There are some companies out there that entice customers with a low LASIK price, of $299 per eye. We are here to tell you that there is no such thing. The “$299 per eye” is for the lowest prescription glasses possible. At Insight LASIK and Refractive Group, we won’t even recommend LASIK surgery for such prescriptions. You can get this “$299 per eye” surgery, but you will need your glasses again. Contact Insight LASIK and Refractive Group where our trusted doctors will give all of the information you need to make your decision for surgery. We want to make sure that you fully understand the LASIK process before making such a big life decision. We care about our patients and don’t mislead on prices, surgical options, or results. Contact Insight Lasik and Refractive Group today to schedule your free LASIK evaluation. December 15, 2015 /in Technology /by Willam C. Christie M.D. Today, eye care research and technology are constantly evolving. In Western Pennsylvania, Scott and Christie Eyecare Associates continues to set new standards in eye care through its commitment to delivering current technology advancements to not only support medical problems of the eye, but by also using technology to deliver a better quality of life for its patients. “Our patients tell us they appreciate the time our experienced doctors and staff spend with them explaining their various options and opportunities for attaining better vision leading in an increased quality life,” says Dr. Christie. For example, Dr. Christie and his team is one of the first eyecare practices in the region to deliver cataract laser technology for any patients undergoing cataract surgery with the CATALYS Precision Laser System– the new standard in precision cataract surgery. The surgery, performed at the practice’s ambulatory surgery center in Cranberry, lasts less than 15 minutes and is nearly painless, with little downtime. Traditionally, cataract surgery resulted in a patient only having access to a single vision lens, providing only good distance vision. This resulted in most patients still needing glasses for reading and viewing objects close up. It also left patients with astigmatism since the surgery didn’t correct this. However, with the introduction of CATALYS laser technology and Multifocal Implant Lenses, it revolutionized how patients experience vision after cataract surgery. With Cataract Laser Surgery many key steps of the procedure that were manually performed can be completed with precision using the laser, leading to a customized vision treatment and a more gentle procedure. Selecting a skilled surgeon to provide these options to patients is important, says Jeffrey Rihn, the practice’s chief financial officer. 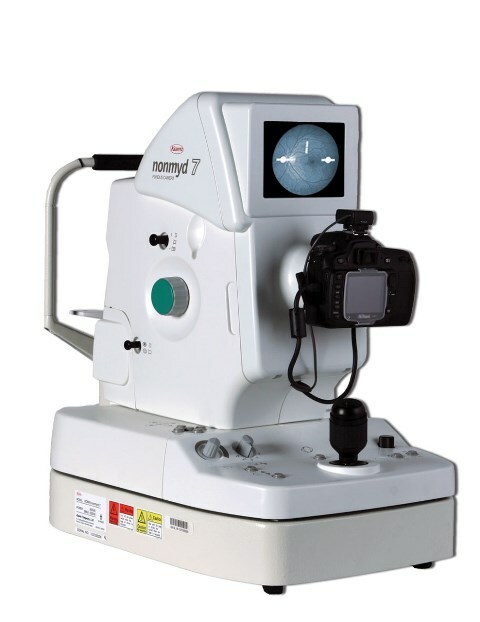 With ten years of Cataract Multi-focal Implant technology experience, Rihn says now all eye physician practices can deliver this cutting edge technology to patients. Dr. Christie has personally performed over 28,000 cataract procedures awhile his colleague, Daniel Zimmer, MD, has performed over 25,000 LASIK procedures. As a partly covered medical procedure, Rihn stresses these patients should not miss this once in a lifetime opportunity to experience a fine tuned, full range of vision. Because cataract surgery only occurs one time in a patient’s life, it’s important for cataract patients to be educated about this technology and more importantly to know they options. Maintaining offices in Fox Chapel Plaza and Cranberry, Scott and Christie Eyecare Associates provides ample free parking and accessibility along main highways and bus routes. Comfortable offices and its friendly staff helps make your time with them a pleasurable experience. December 2, 2015 /in Technology /by Willam C. Christie M.D. CATARACT SURGERY: KNOW YOUR OPTIONS. More than 20 million Americans aged 40 and older are affected by cataracts, the leading cause of blindness worldwide. Cataracts are readily managed by surgery. And with today’s innovative technology, cataract surgery can not only restore vision, but actually improve patients’ quality of life. Scott & Christie Eyecare Associates is one of the region’s most innovative and experienced eye physician and surgeon groups, delivering advanced, customized medical treatments with state-of-the-art ocular diagnostics and femtosecond laser technology (Cataract Laser) designed to optimize vision. Reflecting its commitment to evolve to best serve patients’ needs and expectations for longer, more productive lives, it is the first eyecare practice in western Pennsylvania to deliver cataract laser technology with the Catalys® Laser. Combining this technology with 10 years of cataract Multi‑Focal Lens Implant technology experience, Scott & Christie Eyecare Associates can offer cataract surgery as a once-in-a-lifetime opportunity for patients to achieve better vision, removing cataracts and correcting refractive error all in one precise procedure—thus leaving patients with a fine‑tuned full range of vision. Traditional vs. Laser Cataract Surgery. Traditional cataract surgery, which is covered by Medicare and other insurances, involved the implantation of a single-vision lens, which provided good distance vision but most often resulted in patients wearing glasses for reading and close-up tasks. It also left patients with astigmatism, since the surgery didn’t correct it. With laser cataract surgery, many key steps of the procedure that were manually performed can be completed with precision using the laser (including simultaneous correction of astigmatism, if needed), leading to a customized vision treatment and a more gentle procedure. Surgeons with access to and experience in these combined technologies can offer patients a full range of vision, reducing the dependency on or even eliminating the need for eye glasses after surgery. Cataract surgery just became a once-in-a-lifetime opportunity. When selecting a surgeon to perform cataract surgery, patients should ask these important questions: Can my surgeon explain to me all of my options? Can my surgeon provide me access to the latest FDA-approved technology? Is my surgeon experienced with both traditional and innovative cataract surgical techniques and eyecare? For patients of Scott & Christie Eyecare Associates, the answer to these questions is a resounding yes. The physicians and staff walk patients through all of their options based on their individual needs and desires, offering them a customized procedure to meet their individual lifestyle. The practice offers the latest FDA‑approved cataract laser and Multi‑Focal Lens Implant technology. And the doctors are among the most experienced in the western Pennsylvania region: Dr. William Christie has personally performed over 28,000 cataract procedures, and Dr. Daniel Zimmer over 30,000 LASIK procedures. In addition, Scott & Christie Eyecare Associates is one of the top clinical research sites in the world for new ophthalmic pharmaceuticals and devices. Patients have the opportunity to be compensated for their study participation and save on costly medications while benefiting from important and innovative research for eye health and wellness. Regardless of whether they choose to participate in research, patients have access to advanced treatment plans based on new and improved pharmaceuticals and devices. With offices in Fox Chapel Plaza and Cranberry, Scott & Christie Eyecare Associates provides ample free parking and accessibility along main highways and bus routes. Comfortable offices and experienced, friendly staff help make your visit a pleasurable experience where your individual needs are respected and met. Contact us today to make an appointment for a cataract evaluation! October 29, 2015 /in Technology /by Willam C. Christie M.D. Using the CATALYS Laser, Dr. William C. Christie M.D., can provide you with a gentle, accurate, and customized treatment. The Precision Laser System is designed specifically for laser cataract surgery. Traditionally, many steps that are involved in a cataract surgery are done by the use of handheld instruments. Now these steps can be completed using the precision of the CATALYS Laser. 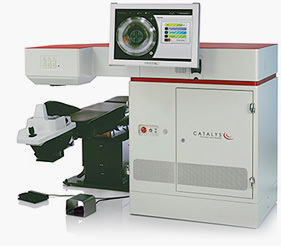 The CATALYS Precision Laser System is indicated for use in patients undergoing cataract surgery for removal of the Crystalline lens. Intended uses in cataract surgery include anterior capsulotomy, phacofragmentation, and the creation of single plane and multi-plane arc cuts/incisions in the cornea, each of which may be performed either individually or consecutively during the same procedure. Every eye is different. The CATALYS Laser makes precise 3D maps of relevant eye structure before surgery. Dr. William C. Christie M.D. is able to soften the cataract with the CATALYS Laser during surgery in order to easily remove it. The CATALYS Laser creates precise incisions, including a circular opening in the lens capsule to access and remove the cataract. The surgeon may recommend a specific lens implant type Insert link to Lifestyle Lens Implant that would let you see well without glasses or contacts. This would be a tailored treatment that would involve precise laser incision in the cornea created by the CATALYS Laser. Cataract surgery usually takes less than 30 minutes. The CATALYS Laser portion of treatment usually takes just a few minutes.